Starting small can be a good, low-risk way to launch an online pet store. You might consider beginning with an eCommerce site to see just how your products will be received and to familiarize yourself with the world of online sales. Then, when you're comfortable, jump in—but make sure that you first have all your bases covered. You might consider starting with an eCommerce site like Amazon or Etsy if you're selling a particular type of product, such as your own line of dog duds. The good thing about Amazon is that you only pay fees when you actually make a sale. Etsy is geared toward people who make handmade items, so this could be a good place to start for those who want to deal in unique niche products they make themselves. Both these sites offer various forms of support, and both feature easy-to-use platforms. It might seem like overkill, but having a solid business plan can come in exceptionally handy down the road, such as in situations where you might need financing. Your plan should include an executive summary, which indicates the purpose of your business. It should explain how the business will be marketed, along with advertising and promotions ideas. Who is your potential competition? Who are your prospective customers? Cite the number of employees you expect to hire, if any, and your financial requirements for startup. Any new business requires that you cover startup costs, and you have to know where this money is coming from. This can take some advance planning, such as applying for a Small Business Administration loan or a business loan from your neighborhood bank. You might be able to fund your startup phase through savings or by taking a loan from your retirement account if you don't expect your initial costs to be too significant, such as because you're creating your own products for sale. You'll also need a place to put this money, as well as income when your products begin selling, so be sure to set up a merchant account with your bank. You'll have plenty of competition, and you should have a firm understanding of what they're selling and how much they're selling it for if you're going to successfully compete with them for customers. If you have a unique product, that's great, but otherwise, you have to know what brands of kitty litter and what types of fish food major retailers are offering as well as smaller boutique and niche sellers. Determining what kinds of items you want to sell and establishing reliable suppliers is another important step unless you'll be selling products that you produce yourself. It’s also a good idea to establish more than one supplier so you don’t find yourself in a lurch if one of them runs out of a product, goes out of business, or experiences other setbacks. Make sure you have enough materials and other resources on hand if you're producing your own pet products in the fortunate event that you find yourself bombarded with orders. The right domain name for your online business is very important. It should stand out in customers’ minds and make it easier for them to remember you. Unfortunately, you'll probably find that some of the best domain names are already taken. You might have to get creative. This is easiest if you have a unique product for sale. One example is Meow Wear which sells—you guessed it—cat clothes. This is a division of Handicapped Pets, which manufactures and sells wheelchairs for pets. But you'll have to come up with a way to stand apart from other sites if you decide to sell general pet products and foods. Although Only Natural Pet sells products that are available at brick and mortar stores, the company exclusively carries the highest quality all-natural and holistic products, from pet foods to grooming supplies and pet supplements. So not only is this an effective domain name, but it's also a great merchandising and marketing strategy. Do an online search for items that are similar to the ones you'll be carrying to get an idea of which names are high on the list and are already being used. You'll also want to keep your domain name short and sweet. Avoid anything awkward, vague, or overly long. And make sure it contains a good keyword that will easily show up in search engines. Don’t forget to register your domain name, so it remains exclusively yours. You might want to hire a pro to design your online pet store site unless you're extremely tech savvy yourself. Choose someone who specifically has experience with eCommerce websites. Keep in mind that a good web designer will cost you. The services of a highly experienced designer or firm usually start at around $2,000 for the entire project. They might charge anywhere from $75 to $200 an hour, but you can't have a successful web store without a good website. Your site should be easy to navigate and understand. It should be highly visual and professional, interactive and informative. Including customer testimonials can be a great promotional tool. Your site should also link to your social media pages and include a link that allows customers to sign up for your newsletter—which you should absolutely produce on a regular basis. You'll also want to include an e-mail contact link, along with your business phone number. It can also be a very good idea not to rely entirely on your website. Consider setting up a corresponding mobile app for those who prefer to do their shopping on their smartphones. Otherwise, you could lose out on these potential customers. You have a choice between using a Native, Web, or Hybrid app, and again, you get what you pay for. Native apps tend to be top of the line and you'll probably need to hire an expert for setup unless you happen to be an expert yourself. Web apps are easy to launch and they don't cost as much to set up and maintain. Hybrid apps are what the name suggests—they operate on both Native and web approaches. Your site will require a proper web host. This is a server on which you can rent space, typically for a monthly or yearly fee. The host will then transmit your site across the World Wide Web. Your site will automatically pop up when someone types your domain name into a search engine. Some of the top web hosts include iPage, bluehost, FatCow, and InMotion. Let’s not forget that you have to establish a way to get paid for the products you sell from your awesome new online pet store. The easiest way to go about this is to set up an account through PayPal, the popular online payment processing site. It's important to use a payment gateway with a well-recognized name. Think about it. Are you more comfortable forwarding your money to a vendor via PayPal or Joe's XYZ Cash? You have to let people know you're out there and eager to do business with them. 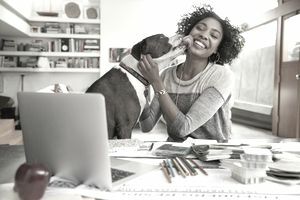 Marketing can be as easy as buying banners on popular pet-related message boards, blogs, and forums, and many of these sites will only charge you when someone actually clicks on your ad. U.S. retailers have a few options for delivering their products to consumers. The good old United States Post Office offers flat-rate shipping. UPS has many convenient amenities for those who sell products online. And there's always FedEx. Remember to check duty fees and such if you're shipping your products overseas. Your best bet is to inquire with the U.S. Postal Service to find out if this is required. And you'll also want to make sure you have all required licenses and state tax permits before that first piece of merchandise rolls out your door.